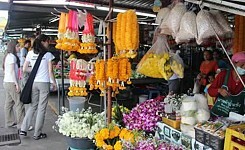 A rare opportunity to live and breathe the beauty of Thailand beyond the mass media stereotype. 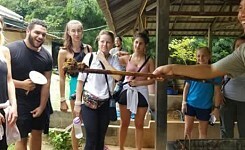 Take a volunteer vacation and see and participate in how Thais really live and help to preserve Thailand’s native elephant habitat. You will find yourself in one the most unique environments, working to build an ecologically sustainable reforested habitat to give elephants a home. 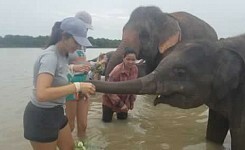 With a volunteer vacation, you can be a part of the solution and help change the fate of elephants in Thailand by creating ways for the people of Surin Province to promote sustainable elephant eco-tourism, preserve their natural habitat and provide an alternative to the current use of elephants as revenue in circuses and street begging operations. 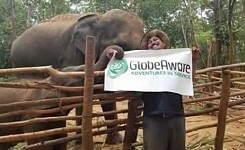 Save the Asian elephant from extinction and give captive elephants a life worth living! This volunteer vacation program is geared toward the nature loving volunteer explorer and the majority of program projects involve work with locals of the Surin province to preserve the native elephant habitat and includes working on such projects as planting food crops, such as bamboo and native grasses, and also the construction of shade shelters for these elephants. The work schedule varies from week to week depending on what needs to be done. The volunteers have built enclosures and platform, sun shelters for the elephants, make composts from elephant dung and cut elephant food. 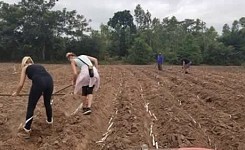 Volunteers plant elephant food and cut it; this process is a big part of the project. 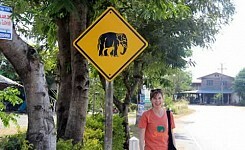 It really insight on what the life of a mahout is like because an elephant eats 500-600 lbs of food every day! 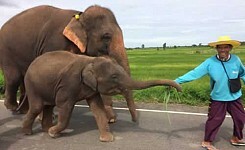 In this province, where not much grows naturally, it is a fulltime job for the mahouts to find food for the elephants. 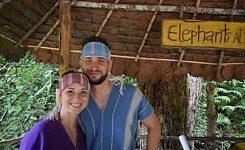 They have to get up in the middle of the night to feed their elephants. Every night! Volunteers feed the elephants fruit, sugarcane and grass. They cut the sugarcane and grass and feed this to them as well. They bathe them and go for long walks down to the river with them. 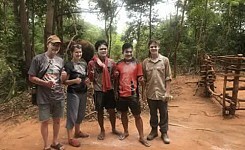 When elephant food is planted, the elephants are right there with the volunteers. 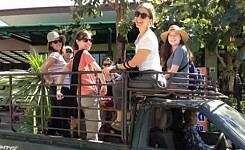 There is also a night when the volunteers camp out, if they chose, by the river with the elephants. 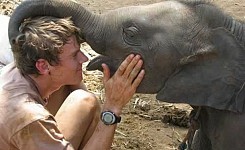 Most of the volunteers’ time is spent directly with the elephants. Please note that this is a unique program in that Globe Aware was asked by a local grassroots organization for its help recruiting volunteers. 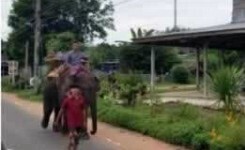 There are more than 300 elephants registered in the Surin Province and the majority of these are trapped in the unfortunate trade of street begging and circus shows. These activities reduce an elephant’s life expectancy by at least 50% as elephants needs hundreds of kilos of fresh vegetables and water daily. 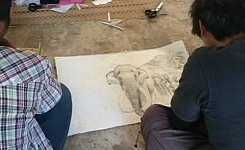 Essentially, volunteers will be working at Thailand's only "elephant refugee camp". 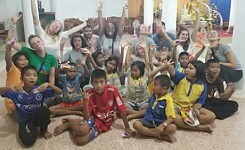 Register now for your Volunteer Vacation in Thailand - Click Here! Projects vary depending on the number of volunteers, which projects were finished (or not) with the prior group, what priorities have changed, weather conditions, which supplies are available, and often the interest and fitness level of the volunteers. For these reasons, specific projects are often not fixed until the week prior to your arrival and can even change upon arrival. 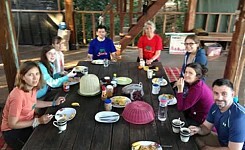 Volunteers are housed in pairs in homestays very near the project location. Each room has a fan. Western style bathrooms are available, though they are modest and not as nice as what you might be accustomed to. As of 2018, there is now also fairly reliable wi-fi. 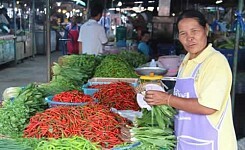 Flavorful traditional Thai style meals are cooked fresh, with your help, throughout the day. Abundant, safe drinking water is always available in each home and throughout your working vacation. 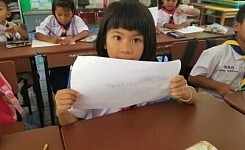 For this particular voluntourism project it is advised that you arrive in Bangkok the day before your program starts as your bus for Surin Province leaves at 7: 30 am the day the program begins. 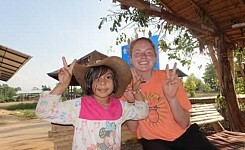 The volunteer vacation program ends at 8:00 am the following Sunday. The journey takes roughly 7 hours by bus each way. Due to the nature of this special volunteer opportunity, this program runs from Monday to the following Sunday, unless volunteers arrange to add an additional week ahead of time. 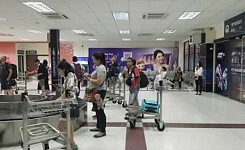 A Globe Aware staff member will meet you at Bangkok’s Northern Bus Station (Mo Chit) at a specified pick up time. From there you will travel via bus (bus has a/c and is very comfortable, and takes 7 hours if no re-routing due to weather conditions) to reach the project location in Surin Province. 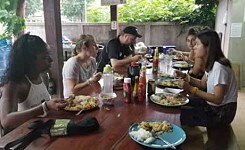 Volunteers traveling from Chang Mai have a 7-8 hour bus ride). 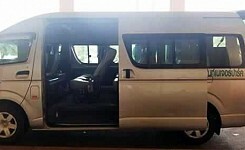 You are picked up and dropped off from the airport using a modern van with seatbelts and air-conditioning. 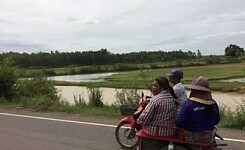 However, we are obliged by the onsite Thai elephant foundation to use their vehicle to travel to and from the work sites, however, roughly one mile each way, usually going below 10 miles an hour with only motorbikes on the road. They use a pickup truck with attached trailer. Volunteers and the coordinator are in the back without seatbelts and helmets. You will note that the majority of the population are on motorbikes without helmets (and feel lucky to have a motorized vehicle! You will see a fair share of locals riding their elephants as well) You need to understand and be ok with this risk going onto the program.